Cranial manipulation and deformation can be found throughout the world. 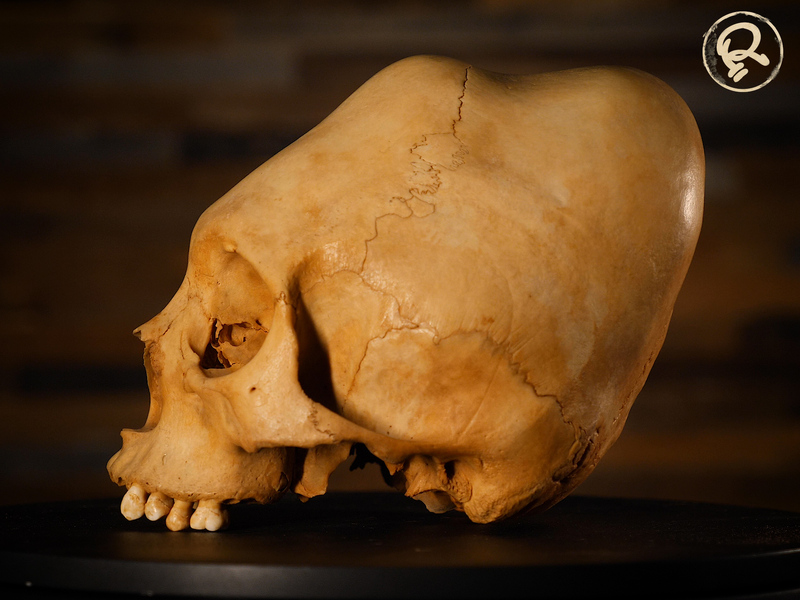 While some cultures elongated their skulls to seemingly impossible lengths, others sought a flatter forehead or more modest change. On the island now known as New Britain within the Bismarck Archipelago of Papua New Guinea, skull binding was once a common practice. The practice, however, has slowly disappeared under the influence of Christian missionaries on the island. 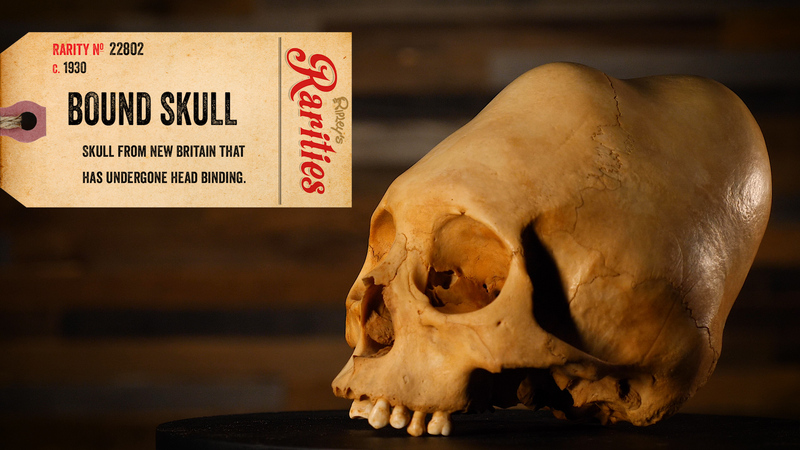 Even when Oxford researchers arrived in the 1930s, the skull binding was beginning to decline. The people of New Britain began head binding their children at birth, often just after they were first washed. The practice wasn’t done for religious reasons or as any sort of rite of passage. According to villagers, the practice was solely for beauty and fashion. Women in these villages gave birth in enclosed huts, and an attending woman or sometimes the mother herself would begin the binding process almost immediately. First, the newborn’s head would be covered in a black paste made from charcoal and water mixed in a coconut. Then, a long strip of bark cloth was tied around the head. The ears were often bound as well. Tighter bandages meant a more elongated skull, but children didn’t seem bothered by the procedure, rarely crying at all. Some families bury a child’s first bandages under coconut trees for prosperity, but anthropologist Beatrice Blackwood noted that the ritual wasn’t very important and that parents had no problem giving her bandages for study. This seemingly haphazard process for skull binding left many children open to bullying. Blackwood noted that one child’s parents had missed binding one of her ears and that it stuck out as a result. Children teased each other for protruding ears, or if their heads weren’t long enough. 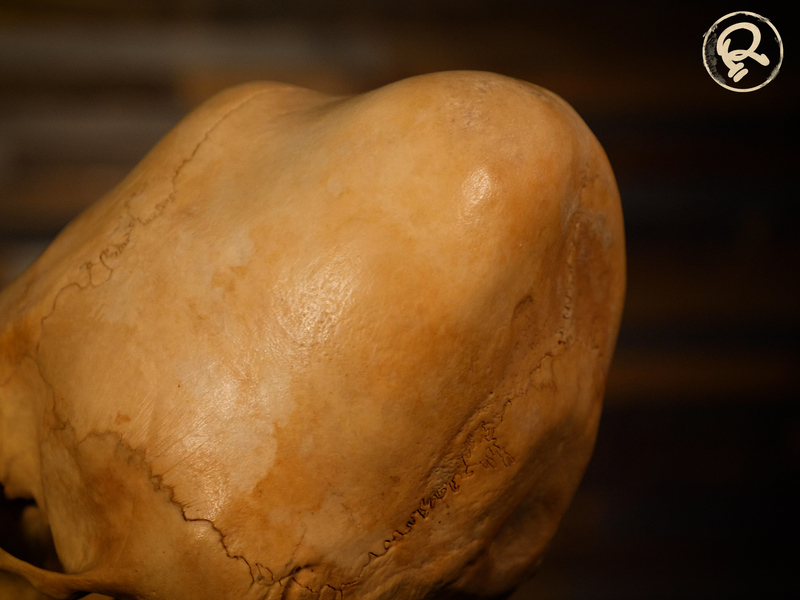 An un-bound skull was said to “look like a stone,” according to chortling children.